On December 27th, actress Park Han Byul, who is currently starring in MBN’s weekend sitcom drama Bolder by the Day, uploaded a cute photo to her Twitter account after completing her filming late midnight. 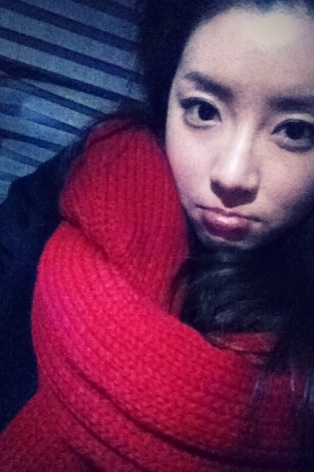 In the photos, Park Han Byul posed with cute gesture on the white sheet of snow, meting the hearts of fans. Netizens commented, “Have a good rest, you did well,” “You feels good when you completed the shooting? I can resonate,” “You’re my role model. So pretty, don’t get a cold,” and so on.